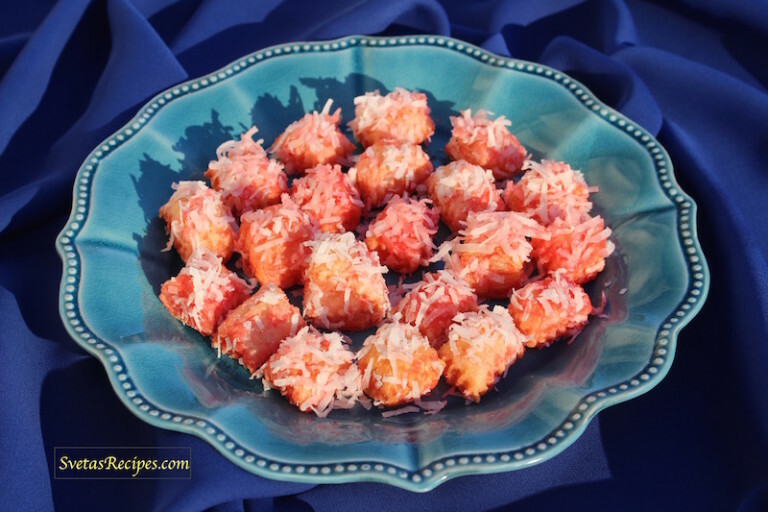 Puff Pastry Squares dipped in raspberry jello and strawberry jam. 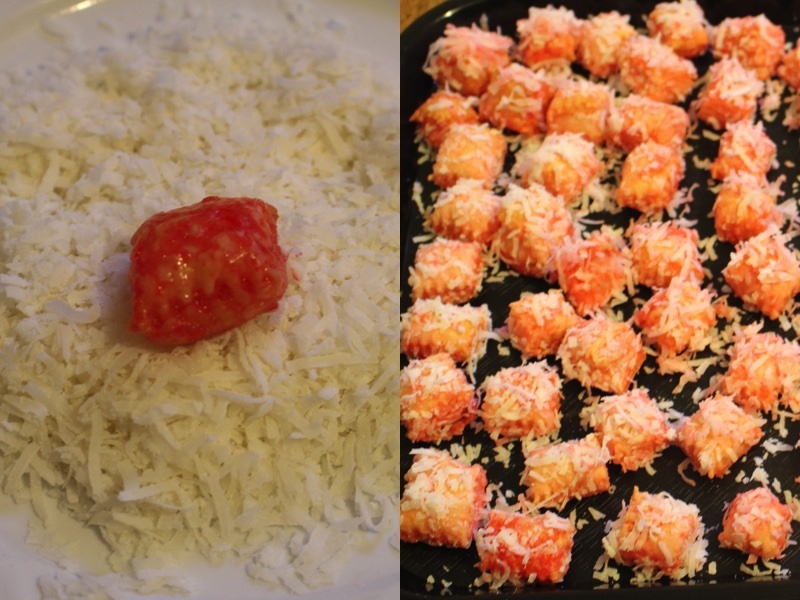 Then its rolled in coconut flakes for the final touch. I actually came up with this recipe myself when looking through a magazine but they only listed were to buy it so i gave it a try. 1.) 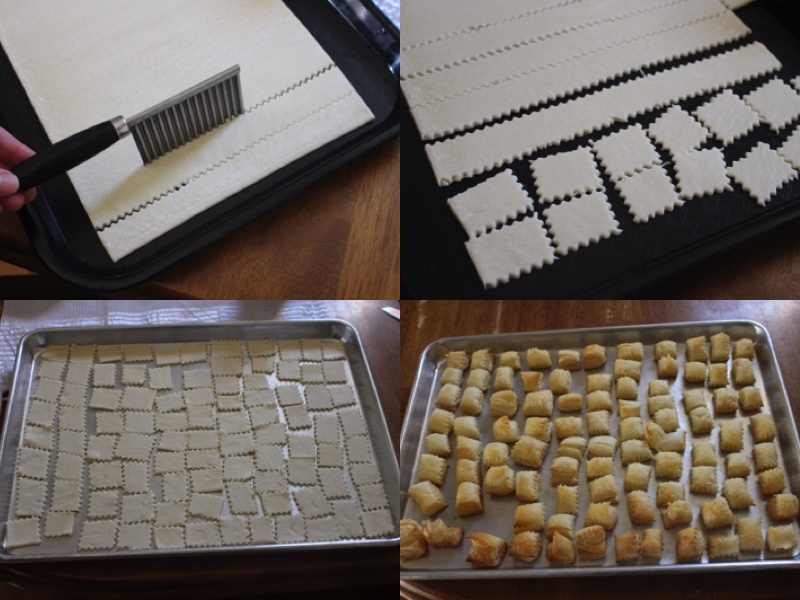 Cut one sheet of puff pastry into squares. 2.) Lay them down on a greased baking pan. Bake for 25 min at 350F ur until it is a little bit brown. 3.) 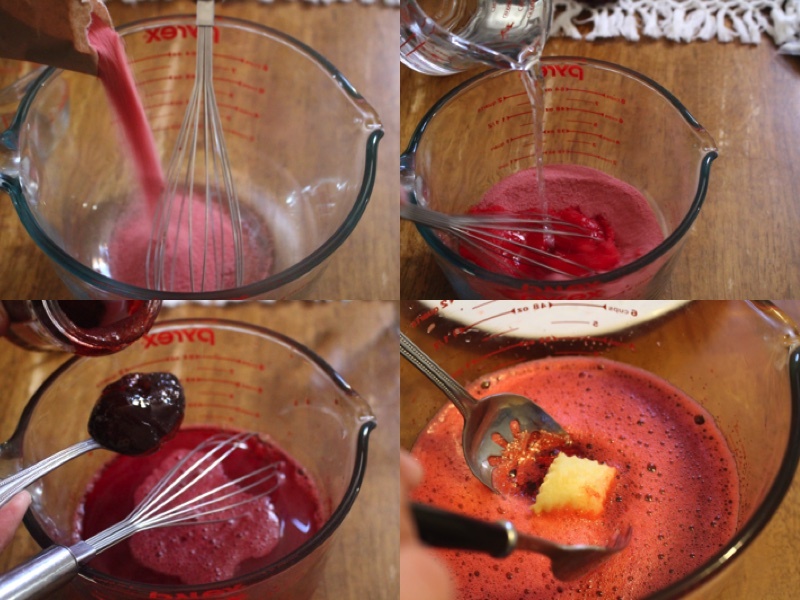 Add raspberry jello, Cold water and mix together well. Add boiling water and strawberry jam. Mix. 4.) Dip each square into the raspberry jello. 5.) Roll each square in coconut flakes. 6.) Place on serving dish and ENJOY! Cut one sheet of puff pastry into squares. Lay them down on a greased baking pan. Bake for 25 min at 350F ur until it is a little bit brown. 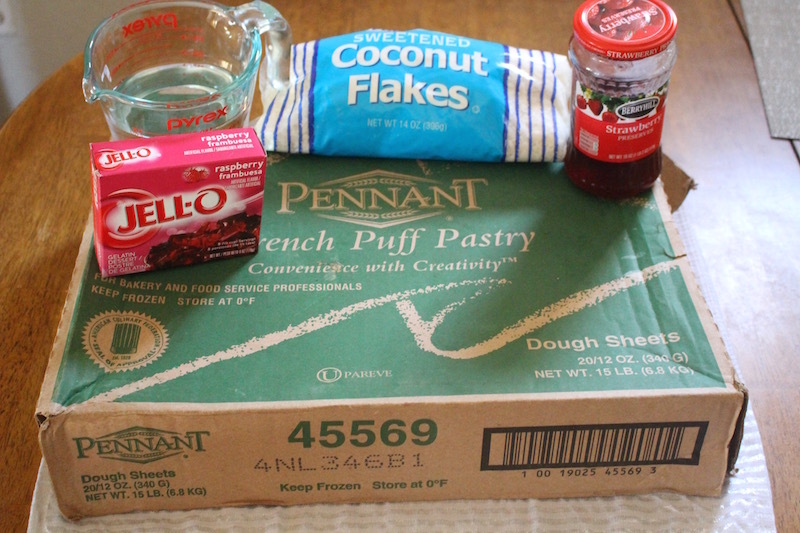 Add raspberry jello, Cold water and mix together well. Add boiling water and strawberry jam. Mix. Dip each square into the raspberry jello. Place on serving dish and ENJOY!